In 2006 Eastway Cycle Circuit closed and was bulldozed to make way for the 2012 Olympic Games forcing cyclo-cross and mountain biking out of Central London to Hainault, whilst ‘roadies’ found themselves distributed across London. The fight was now on for a proper Eastway replacement to take us through to after the Olympic Games and the promise of a new permanent ‘Eastway’. Choice was Rammey Marsh or Hog Hill. British Cycling’s Chair Brian Cookson also saw the sense of the Eastway Users Group initiative and opted to go for a bridging site at Hog Hill. In many ways it was a lesson in how we as users and they as providers saw the world differently. Whereas we tended to look at what he we had lost and knew what we needed, they saw it along the lines of what they thought we wanted. Breaking the citadel of their thinking and convincing them that we actual might know better wasn’t easy and some seemed more than happy to grab the minimum offered such as Rammey Marsh. The EUG played it tough and with the support of South East Region of British Cycling, a world class venue was built at Hog Hill. Hog Hill was somewhat delayed because of the presence of protected crested newts and for a little while it was a bit bleak with very little grass being mostly clay. Hog Hill finally opened in the summer of 2008, but the EUG were not invited to the tape cutting performed by London Mayor Boris Johnson. One hiccup for off road riding was that the planned blanket planting of trees would offer no opportunity to create decent off-road trails and it was Beastway MTB’s own Ray Blackwell who saw to it that trees would be planted to allow for imaginative off-road course design for the future. Redbridge Cycle Centre aka ‘Hog Hill’ features a multiple configuration road circuit, with a big hill known affectionally as the ‘Hogberg’, purpose built off road trails and plenty of opportunity to ride ‘al fresco’. ‘Hog Hill’ was funded by the Olympics until 2014 when the new Velopark at the Olympic site was completed and has managed to stay open to this day. 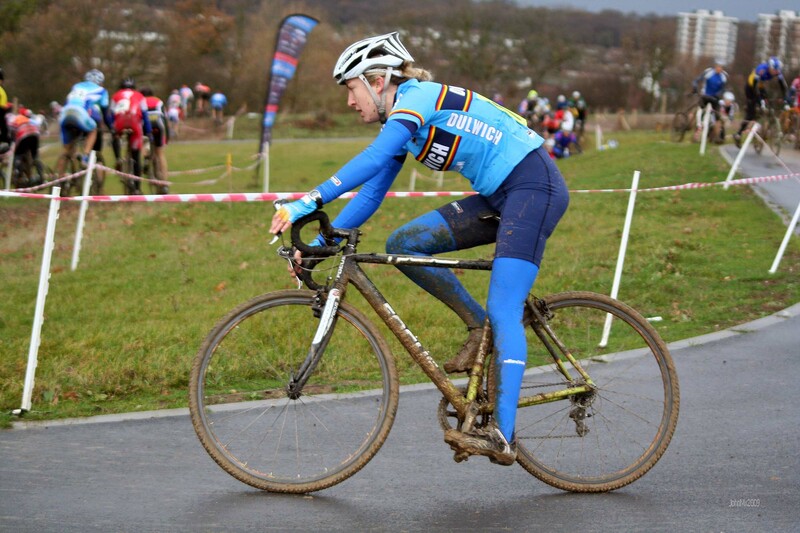 I attended a number of circuit races in the first year after the opening of ‘Hog Hill’ and below you will find links to pictures from the very first cyclo-cross and mountain bike races to be held there. There were a number of excellent riders at those first events.